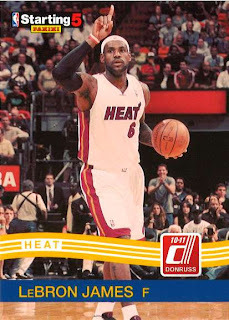 All About Sports Cards: Panini teams with the NBA to promote the All-Star Game with free cards. And for the first time, players will have the choice to wear an alternate uniform. Panini teams with the NBA to promote the All-Star Game with free cards. And for the first time, players will have the choice to wear an alternate uniform. Looking towards the NBA All-Star Game, Panini has partnered with the NBA to give away a special set of Starting 5 cards based on the starting line up for the East and the West. This is being run through your participating local hobby shop, which we think is great. Anything that supports you local small businesses is something we can get behind. For more details about the promotion as well as pictures of the cards and the list of participating shops, head on over to The Knight's Lance. And speaking of the All-Star Game, the NBA is giving players a choice in what they wear for the game, a first for the organization. In a continued attempt by Addias to provide players with the most comfortable uniform possible, and. in turn, making it nearly impossible for card companies to make patch cards anymore, they have developed a uniform/compression tank, seen here, modeled by Derrick Rose. 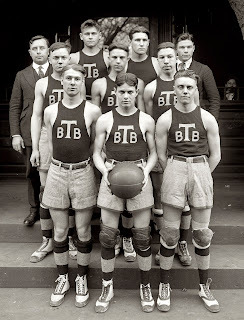 The thought process behind this is that most, if not all NBA players wear a compression shirt underneath their uniforms anyway, so why not eliminate the outer uniform and just put the numbers/name/logo on the undershirt. I don't know about you, but I don't like it. I want my players uniformed, an external badge to show that they've worked hard and deserve to be on the court. It doesn't look professional to me. And it certainly doesn't look progressive. If anything, I think it looks kind of retro, See if you agree. Now the reason players will have a choice in wearing this new uniform has more to do with contracts than anything, I don't think you'll be seeing a Reebok spokesperson wearing this Addias shirt, but if I were given the choice, I would still go with the regular uniforms, which have already been modified this year, thanks to Addias. I think if we progress to undershirts, the next logical step will be an All-Star Game of shirts vs. skins. Not something I want to see happen. 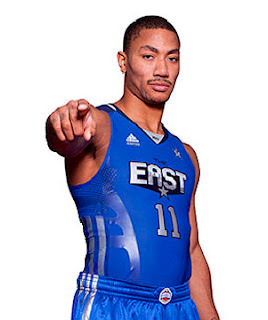 So, players will have the option to play the All-Star game in their underwear? I liked the idea better when it was the Lingerie Bowl and dudes weren't in it.